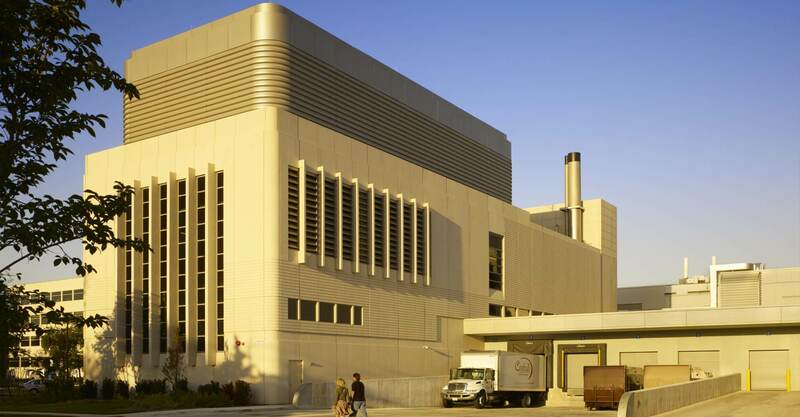 This energy-efficient plant, part of ESA’s master plan for $110 million of improvements at the hospital, is designed to LEED certification standards. Projecting elements and curved corners complement the campus aesthetic. The two-story building includes a partial basement, mezzanine, and loading dock. 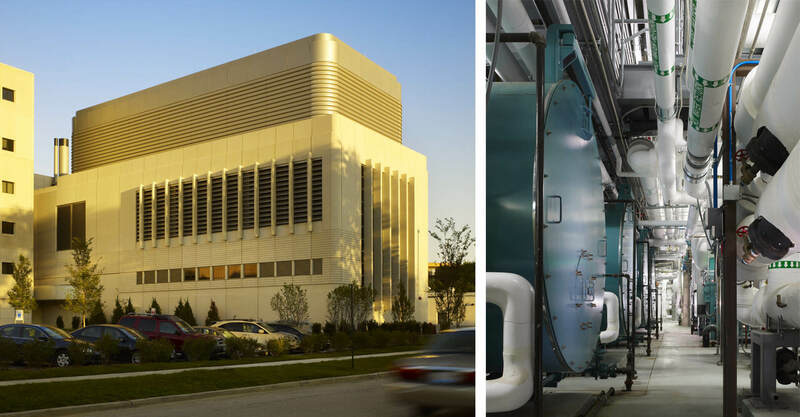 It houses chillers, boilers, emergency generators, rooftop cooling towers, and materials management services. A large west-facing window provides interior illumination into mechanical spaces. 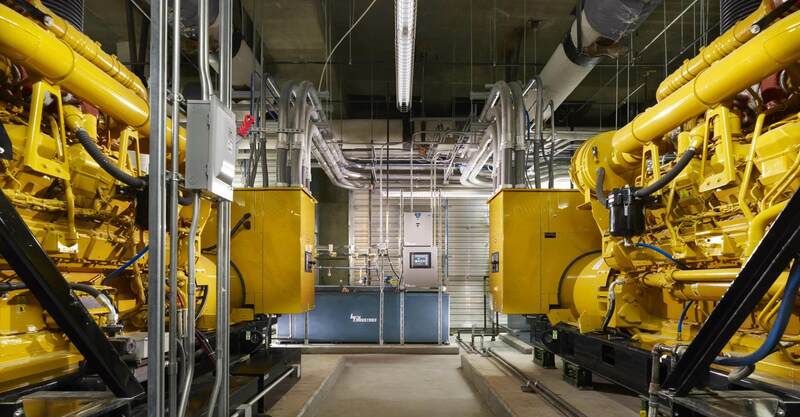 The highly technical project includes an enclosed complex rooftop piping structure that connects to the hospital.